In a documentary on the PBS series American Experience, filmmaker Ric Burns tells the tale of a small group of extreme people whom history and myth record as the founders of a new nation. 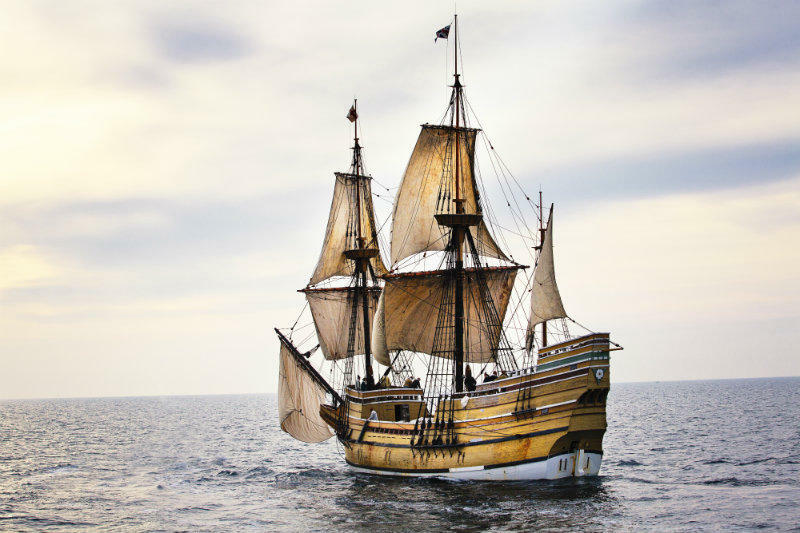 The Pilgrims faced countless challenges when they came to the New World in 1620. The fact of their survival and success is not only commemorated every November, it also exists in the very myth of America’s origins. Burns joins to winnow fact from fiction as we explore the true story of the Pilgrims. “The Pilgrims” by filmmaker Ric Burns is currently streaming online at American Experience. Ric Burns is a documentary filmmaker and writer. Among his films are New York: A Documentary Film; Death and the Civil War; and Into the Deep: America, Whaling, and the World. He wrote and directed the new American Experience documentary The Pilgrims. In a new documentary for the PBS series American Experience, filmmaker Ric Burns tells the tale of a small group of extreme people whom history and myth record as the founders of a new nation. The Pilgrims faced countless challenges when they came to the New World in 1620. The fact of their survival and success is not only commemorated every November, it also exists in the very myth of America’s origins. Burns joins us Tuesday to winnow fact from fiction as we explore the true story of the Pilgrims.